Heating is one of the Common problem in Android Smartphones. Nowadays even good branded high price smartphones get heated. Just like in Computer/Laptop smartphone doesn’t have Cooling system. Here are some easy ways to control Heating/ Over Heating issue in Android Smartphone. The heavy Apps Consume a lot of Battery Power this cause load over CPU and Phone starts heating. So identify that app from the setting that is using a lot of smartphone battery and if that App is not necessary, uninstall them. Especially Graphic intensive Games takes a lot of power to run and in this processor, they also increase the temperature of Phone, so if phone start much heating Quit the Game and let it be cool. Scroll down and tap to "About phone." 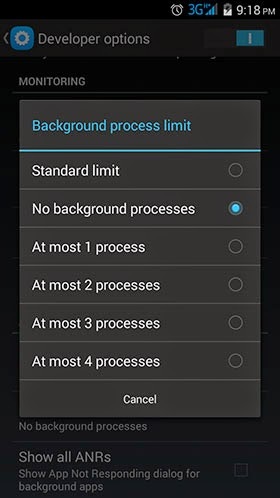 Select Background processes limit At most 1 process or At most 2 Processes. You can even select No Background process which will turn off all background process but just avoid it. Because some applications may quit unexpectedly doing this process, but In my case everything is ok!!!! 1) No-frills- This App can be used in only in Rooted Device. This App allows you to use the Different frequency your phone supports. So After installing this app set your Max. Clock freq. One level below. For example, if your phone supports max. 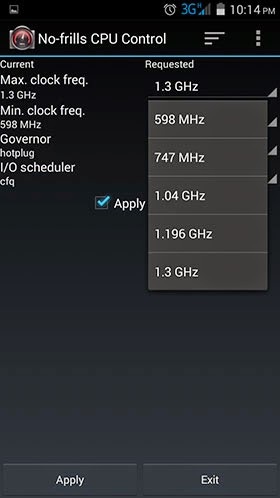 1500 GHz in such case you can choose new max. Frequency 1400 GHz or 1300 GHz. Don’t go below that. Apply the new setting in App. 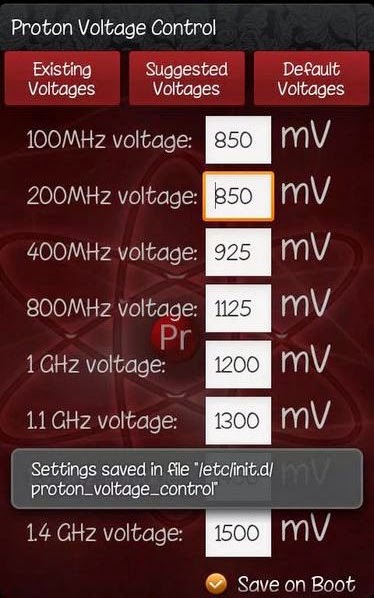 Fill 20mV voltages on all frequencies which is suggested for this app except for 1.4ghz and 1.3ghz which have been raised slightly. init.d script called proton_voltage_control will be created by Save on Boot with your entered values. P.S.- Read the description carefully given in app store before using these apps.